Agile has moved beyond a good idea and is actually starting to deliver the benefits proponents of the methodology have long claimed, according to the 12th annual State of Agile Report. 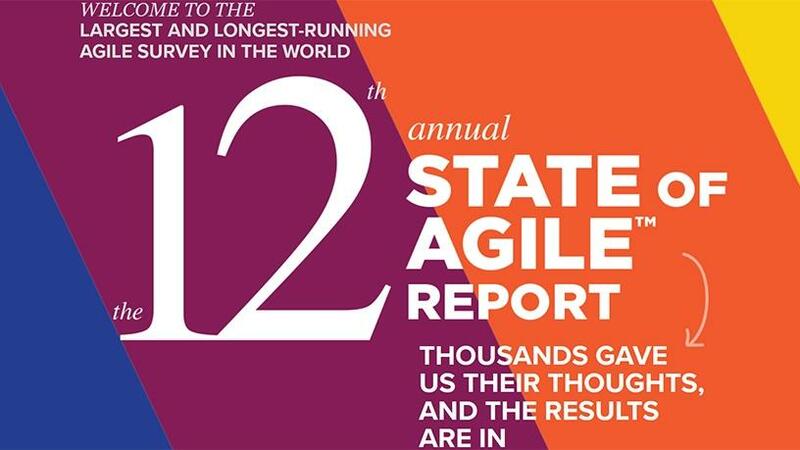 The 2018 report, based on the survey responses of over 1 400 software professionals from around the world, including a handful from Africa, was compiled by CollabNet VersionOne, which initiated the first State of Agile Report in 2007. "Year after year, the annual State of Agile Report has helped our industry gauge the adoption and effectiveness of agile in software organisations," said Lee Cunningham, Senior Director of Enterprise Agile Strategy at CollabNet VersionOne. "This year's report affirms the effectiveness of agile in accelerating software delivery and helping teams manage the changing priorities within their organisations. We also see in this year's report that agile adoption still has a long way to go." Nevertheless, survey respondents reported that they were realising marked benefits from their agile adoption with four of the top five reported reasons for adopting agile correlating with the top five areas that have been most impacted as a result of adopting agile. These include improved ability to manage changing priorities; better project visibility; better business/IT alignment; faster delivery speed and time to market; and increased team productivity. The reasons stated for adopting agile have not changed much in the past 12 months. The biggest changes were recorded in the "accelerate software delivery" response (75% compared to 69% in the previous survey); enhancing delivery predictability (46% up from 30%); improving IT/business alignment (49% up from 42%); and reducing project cost (24% up from 18%). In addition, respondents reported that their organisations were recognising agile success at project levels with 61% stating that "most" or "all" their agile projects had been successful. It was interesting to note the way in which agile project success had changed in the past year. While business value still ranked highly, the top measure of success for agile initiatives (57%) and agile projects (46%) was "customer/user satisfaction". The survey also found that agile adoption is growing within organisations, with a higher percentage of respondents reporting that "all or almost all" of their teams are agile, and that agile principles and practices are being adopted at higher levels across their organisations. Despite the growing adoption of agile, the vast majority of respondents (84%) said their organisation was at or below a "still maturing" level when it came to agile competency. Only 12% claimed that their organisations had a high level of competency with agile practices across their organisations; and just 4% reported that agile practices were enabling greater adaptability to market conditions. Nevertheless, most respondents said they were trying to roll out even more agile projects across their organisations with the Scaled Agile Framework reportedly the most widely used approach (29%) for doing so. Among the factors that were said to be the most helpful in scaling agile were having internal agile coaches, consistent practices and processes across teams, and the implementation of a common tool across teams.